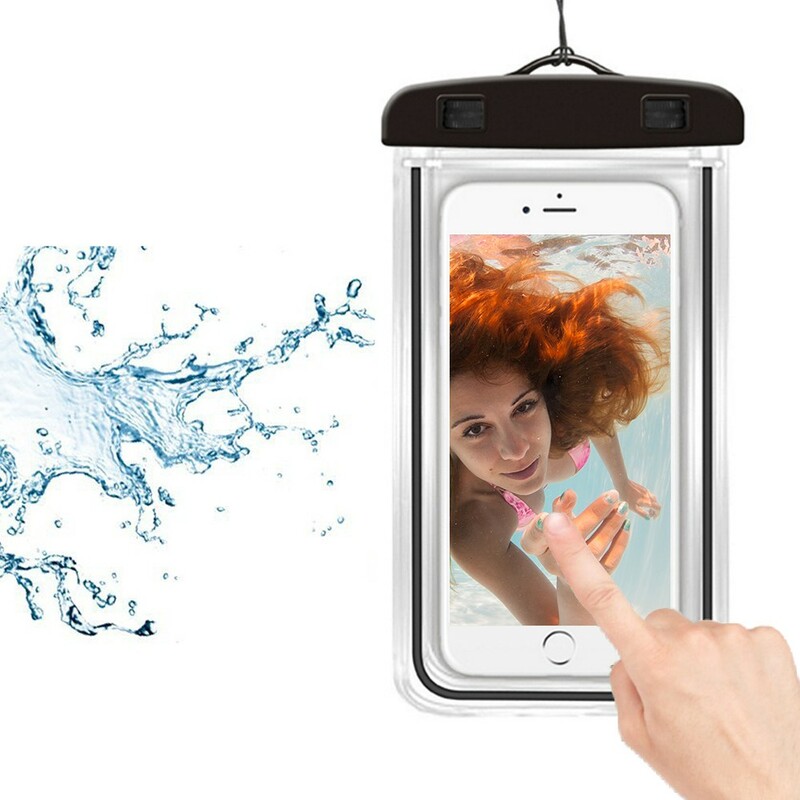 Our waterproof phone bag keeps your phone 100% resistance from water, dust, dirt and snow, whether you are at beach, running, under water, kayaking, snorkeling, shower, swimming or enjoying wet rain. Unlike other cheap plastic water resistant dry purse, ours protective case doesn't compromise style at the expense of safety. Keeps your phone 100% resistance from water, dust, dirt and snow. Don't lose any touchscreen function. Comes with a built-in compass that adds to elegance and is a valuable gadget when you are lost. Transparent front and back, ensures you can take pictures / videos from both cameras.